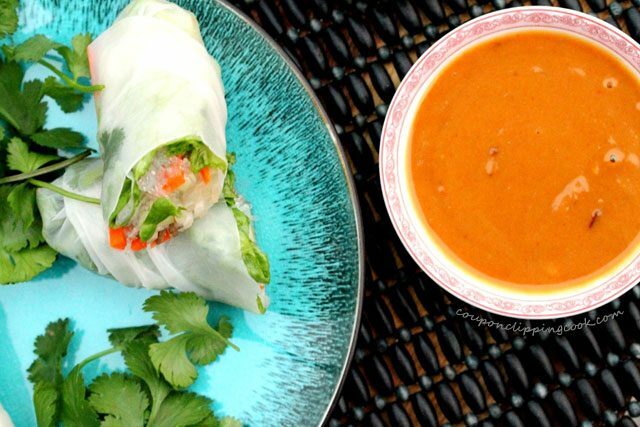 This no-cook quick and easy peanut sauce takes just minutes to make and tastes heavenly! 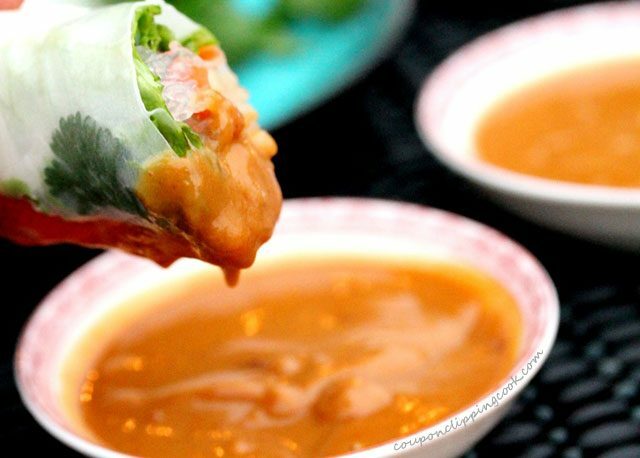 One of my favorite things to use peanut sauce for is a dipping sauce for fresh spring rolls with shrimp. They taste so good together. 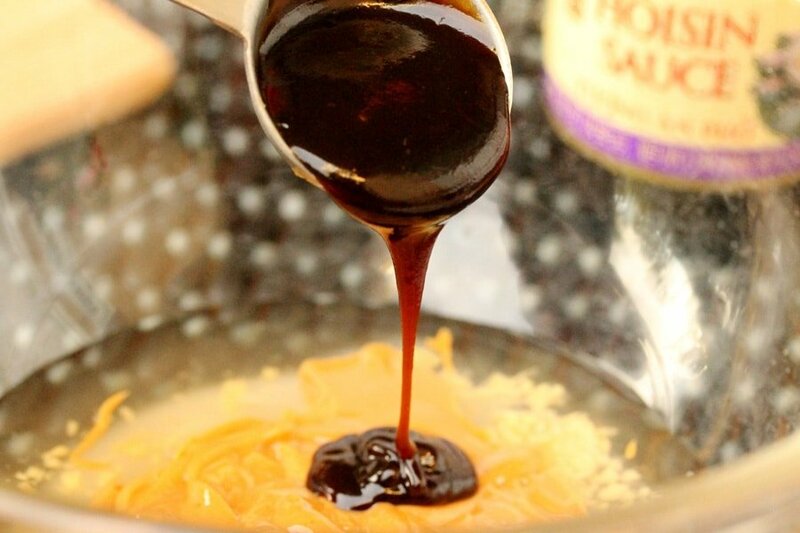 This is a wonderful sauce for appetizers too because it’s so flavorful. 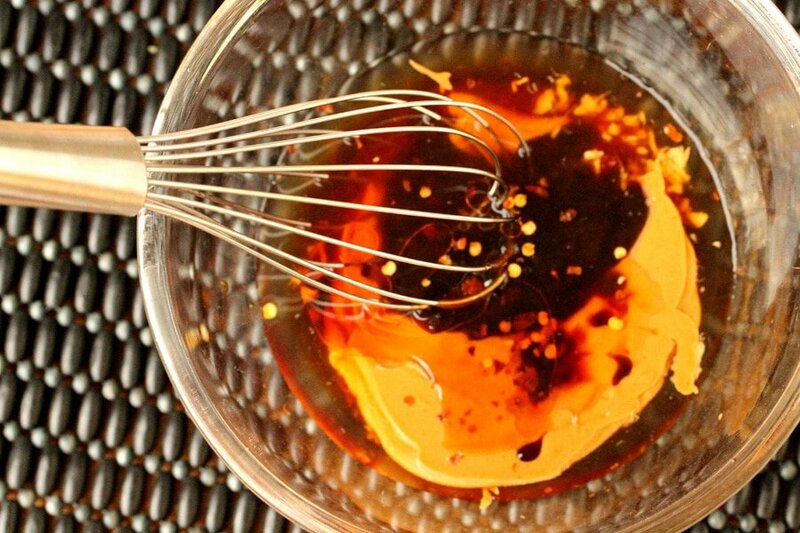 Skewered grilled chicken topped with drizzles of peanut sauce just before serving taste wonderful, or pieces of cooked meat with toothpicks for handling along with this peanut dipping sauce is scrumptious. 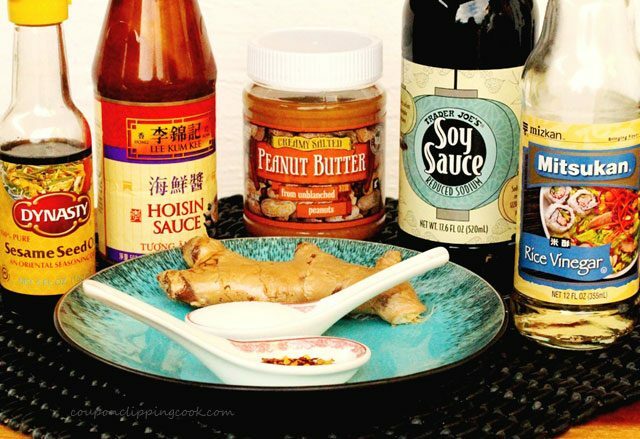 Here’s an example of how peanut sauce can really add flavor to a dish; it’s a recipe where I used this peanut sauce as a topping on “Nut-Crusted Coconut Chicken“. 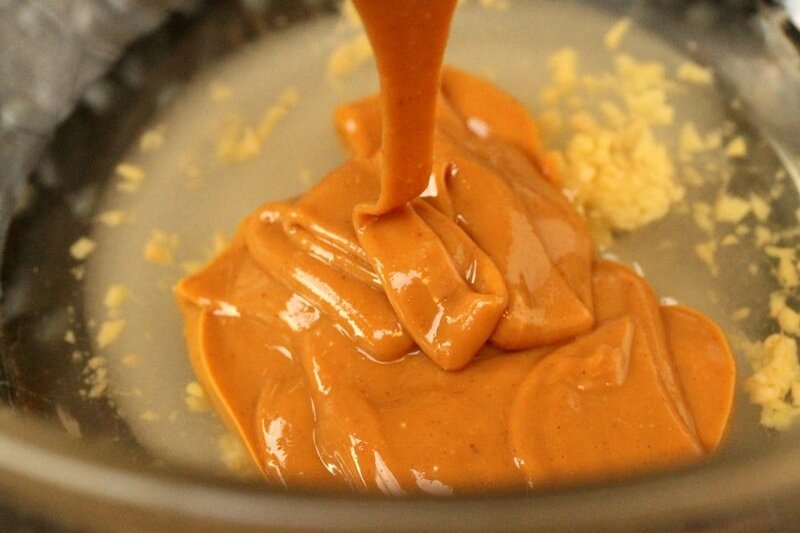 The combination of flavors with the peanut sauce, chicken and rice was incredibly delicious. 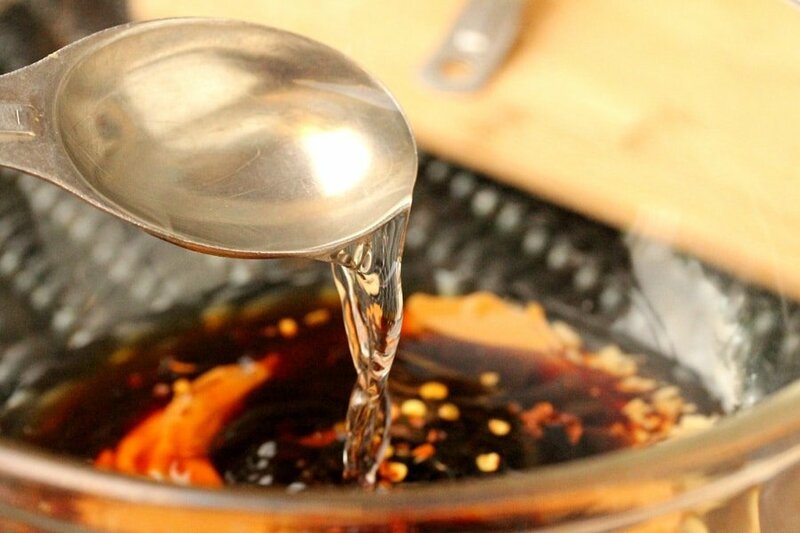 It can also be used as a hot or cold sauce to mix with noodles, a marinade for meat, a cooking sauce with vegetables, or even mixed in with cooked rice. 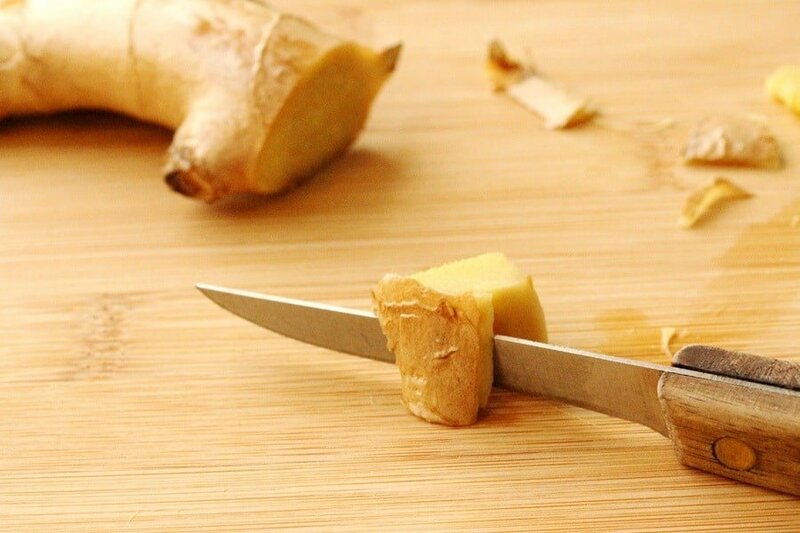 Cut a piece off of the fresh ginger root that is about the size of a sugar cube and cut off the skin. Dice the flesh as small as possible. 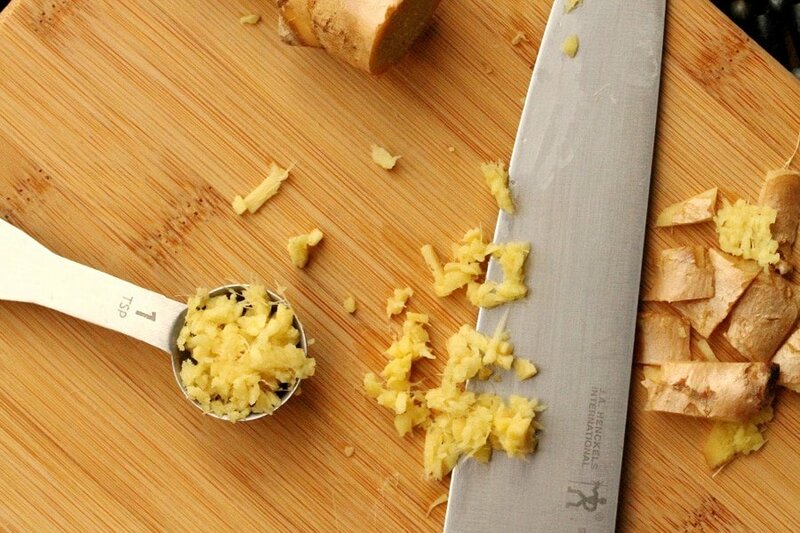 You may need to cut more ginger root if it turns out that the piece you diced is less than a teaspoon. 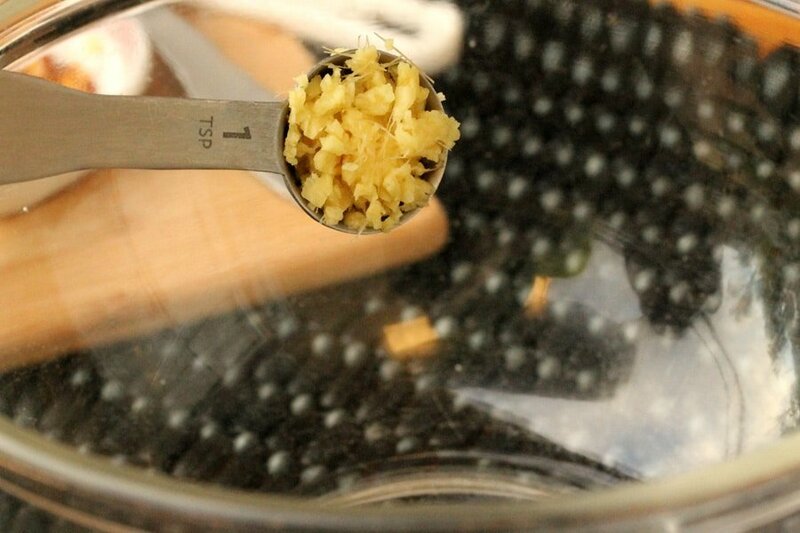 Add the diced pieces of ginger root to a medium size bowl. 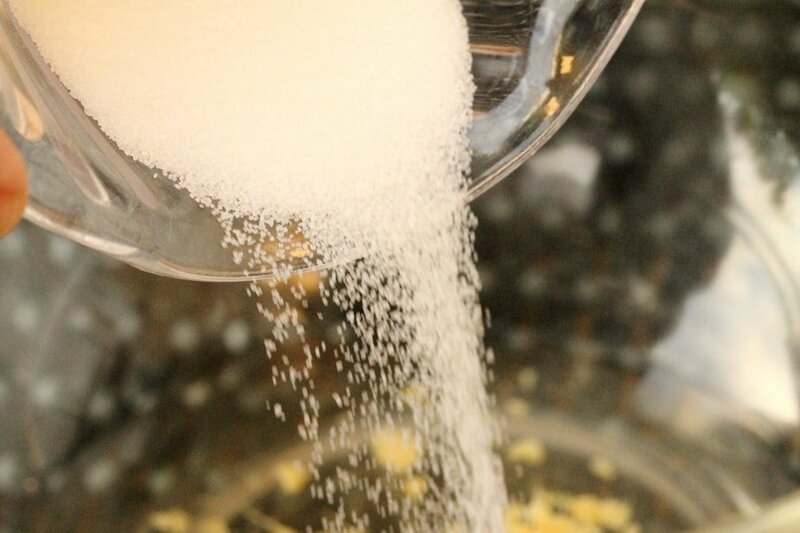 …whisk all of the ingredients. 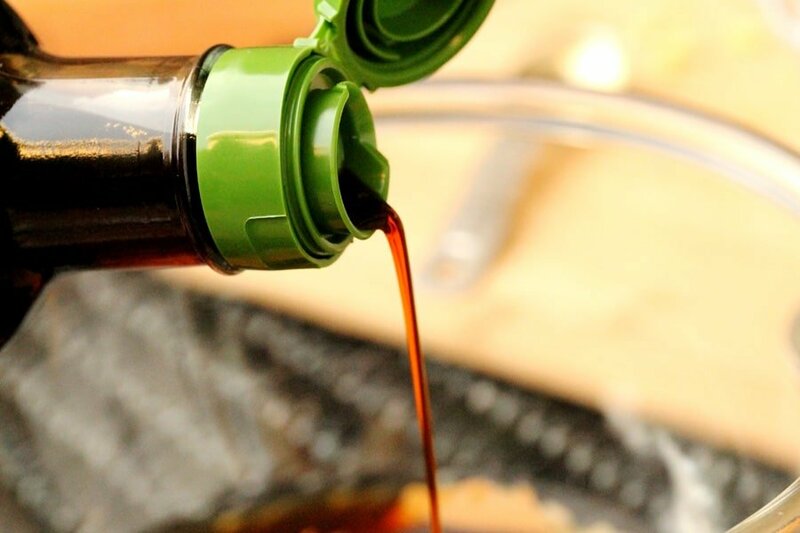 Although this sauce can be served chilled, the flavors tend to really stand out if served at room temperature. 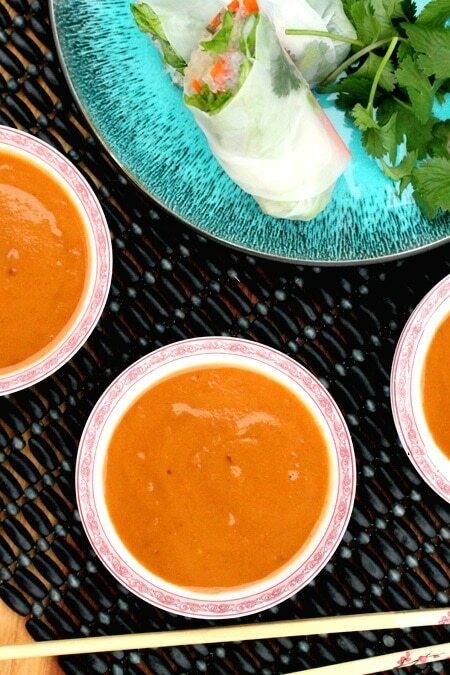 Serve as a dipping sauce for spring rolls or any type of meat. 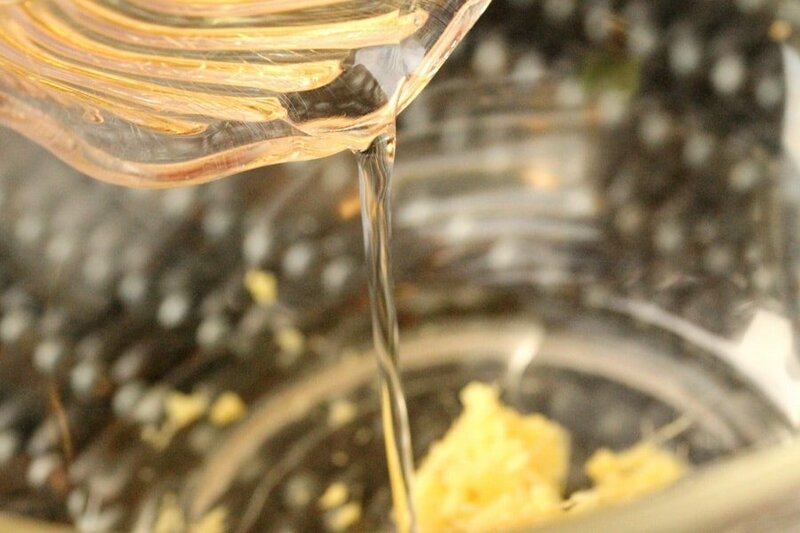 To a medium size bowl, add all of the ingredients and whisk together. 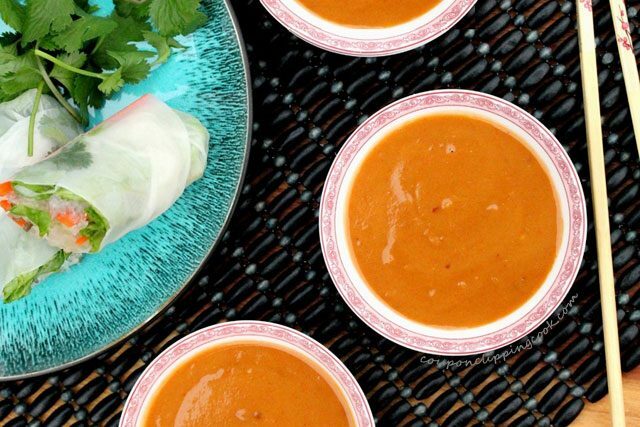 Serve as a dipping sauce for spring rolls or any type of meat. 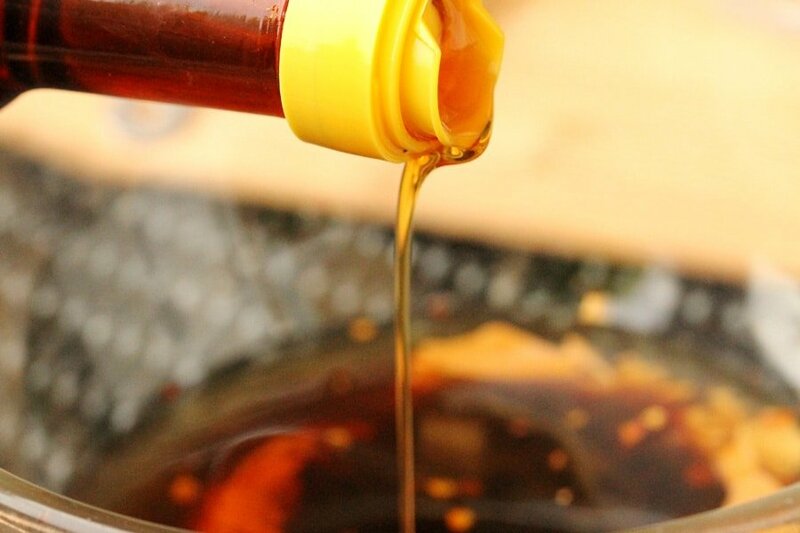 This sauce is also delicious when used as a marinade for meat, a hot or cold sauce mixed with noodles, as a cooking sauce with vegetables and meat, or served over rice. 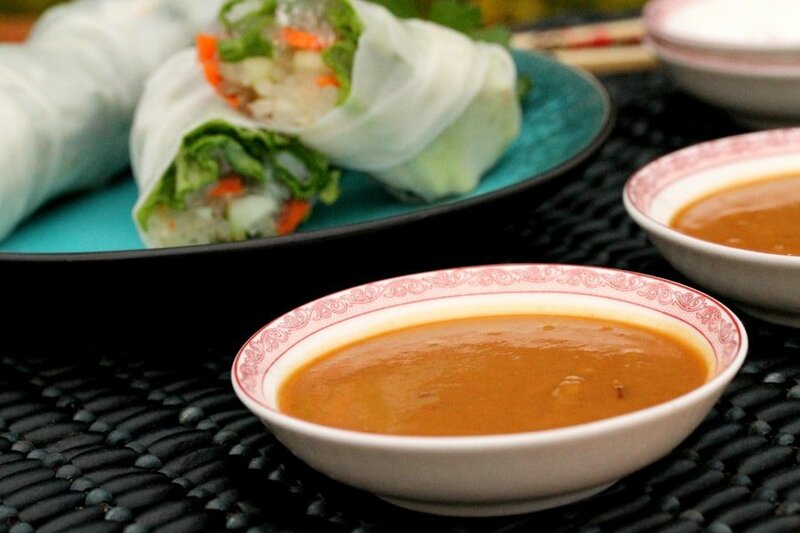 Well, we did have a fabulous time with you, and the peanut sauce was truly the best I’ve ever tasted. Keep up the good work, friend. Love ya tons! 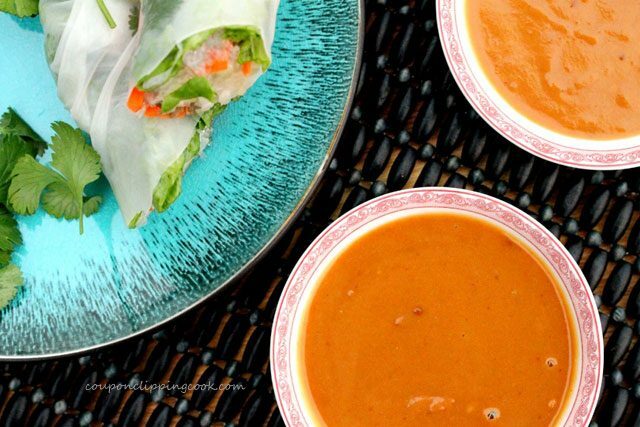 What a fantastic recipe…I love peanut sauce but have never made my own, delicious! Hi Jennifer, yes for sure lucky friends! Have a great day. Glad to pop in and see this. 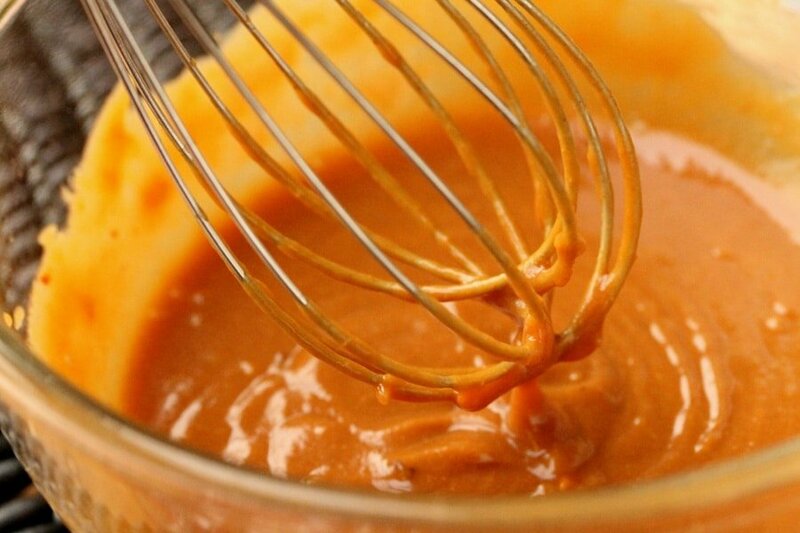 I love peanut sauce but usually just make it when I make chicken satay. However, now that I see this, it should be a condiment that I keep on hand. 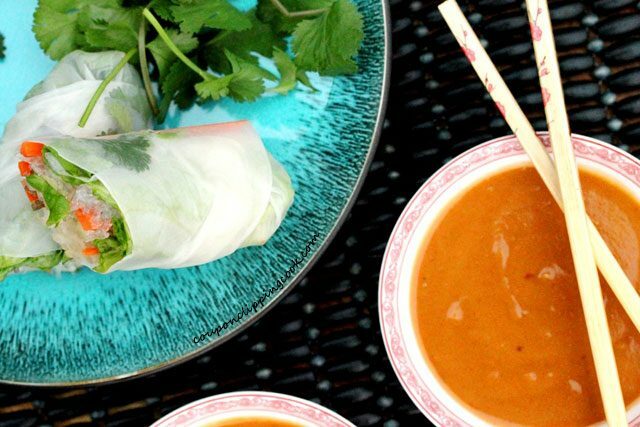 It can be used for quite a number of things, not just for satay! 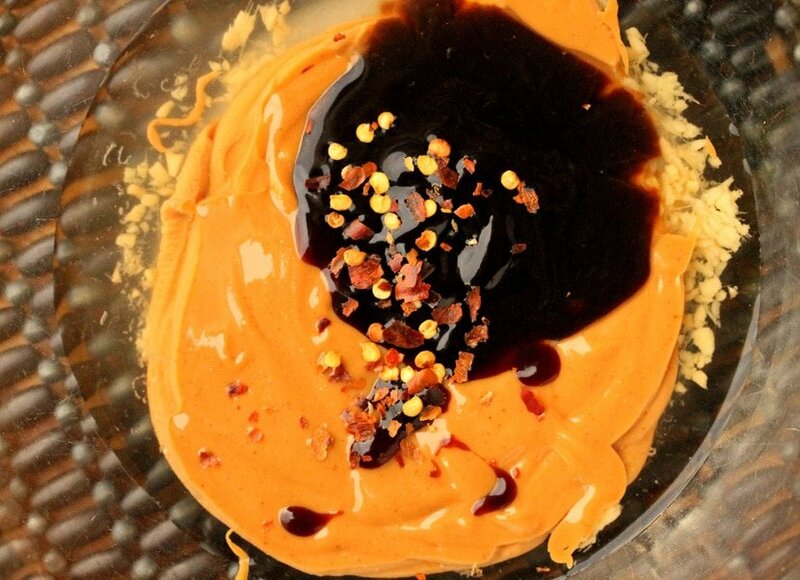 Thanks for sharing this an inspiring me to keep this sauce handy-yum! Hi Tina, so glad you like it. Have a nice rest of the weekend.